Data Empowered Decisions - MIM Software Inc.
What is your clinic doing now to manage quantification for the future? MIM provides solutions that make it easy to extract and utilize meaningful information from all of the imaging data collected in various departments across the clinic. 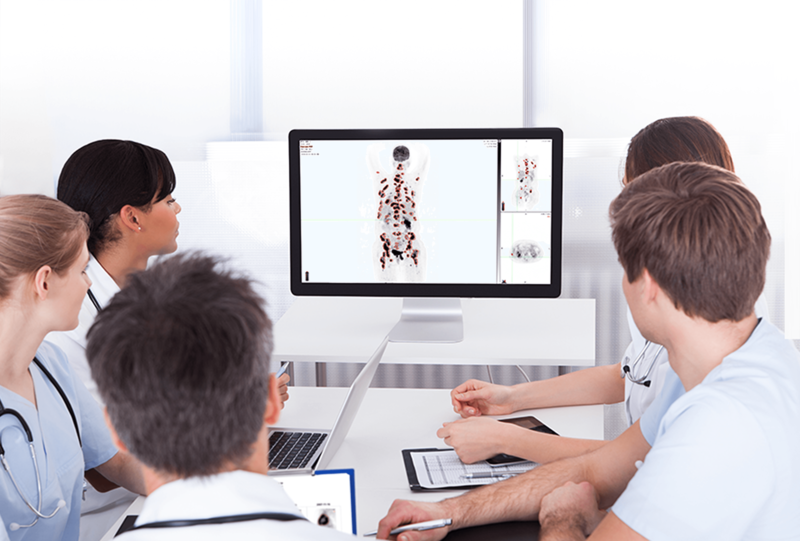 As a centralized single-source, MIM unifies imaging data, puts RTplans within reach, and makes preparing for tumor board meetings less burdensome. With important data within reach, it's quicker than ever to make confident decisions that lead to improved patient outcomes. MIM allows you to communicate more effectively with your colleagues. Save key findings for your next tumor board meeting, collaborate on a case with a co-worker, or review processed Nuclear Medicine results before sending them to PACS. With a suite of tools designed for anytime, anywhere access, MIM helps ensure you're always prepared to share and work with colleagues. With MIM serving as a centralized information hub, improved data flow makes it easier than ever to share crucial information. Anytime, anywhere access to MIM. MIM Zero Footprint - Access remotely and collaborate with referring physicians real-time in MIM on a computer or tablet. MIM in Tumor Board - Present MIM to a group using tools like Session Save. 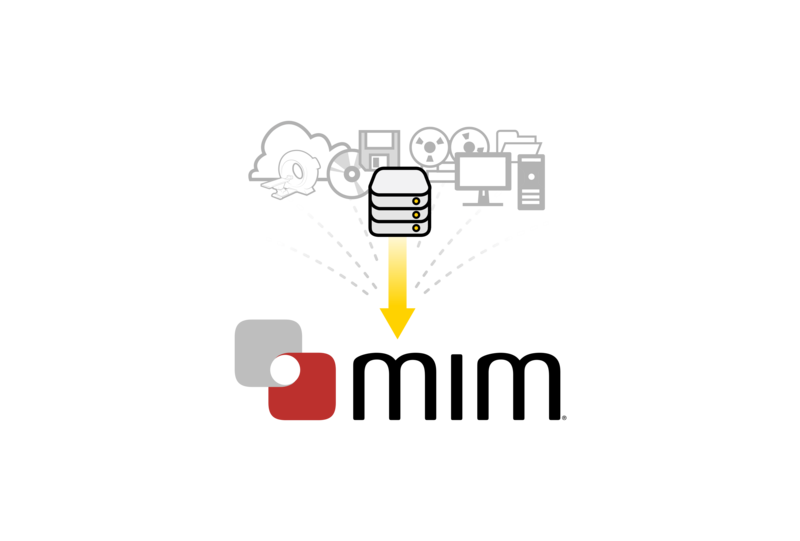 MIMcloud® - Store and share imaging data. Mobile MIM™ - Access imaging data on an iPad® or iPhone® for remote reads. Auto-prepare for tumor board using MIM Assistant®. Auto-query and retrieve a PET/CT reading session. 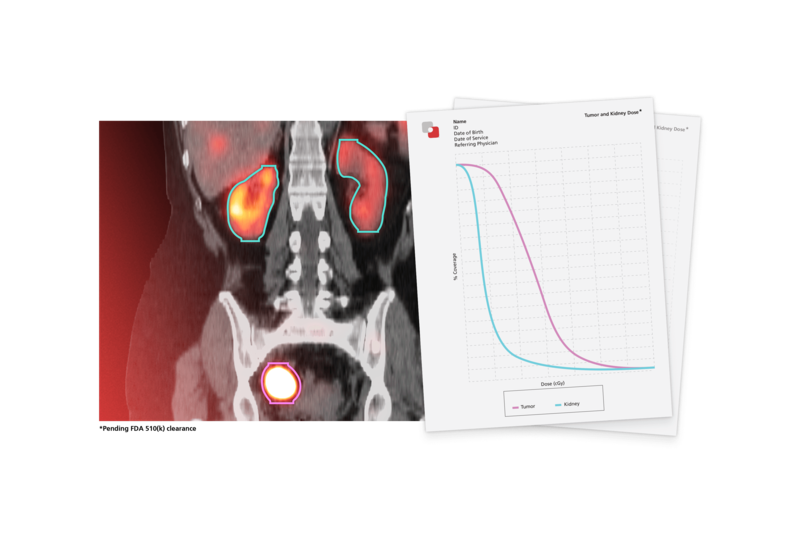 Automate 2D Nuclear Medicine processing with workflow enhancements such as auto-segmentation. Findings reports enable radiologists to share the quantitative information within the confines of the traditional department workflow. Theranostics allow clinicians to determine appropriate treatments based on imaging and then deliver the treatments focused on the same imaged targets. MIM's advanced segmentation, image registration, and dosimetry tools are well-equipped to manage the latest advances in this field. When data slips through your fingers, hidden predictive information goes unused. When potentially treatment-altering information is unavailable, challenging decisions must be made. In a fast-paced clinical environment, data can slip through the fingers of even the most prepared departments. With MIM, immediate action can be taken to store, organize, and extract information. With MIM, decisions can be made with the certainty that the most useful data points were available to make the right judgement. "Is the increased FDG uptake due to inflammation or new disease?" "How does this patient's total tumor burden compare to other patients with the same disease?" MIM provides solutions that make it easy to extract meaningful information from all imaging data collected in the Nuclear Medicine department. For instance, auto-extracting statistics from patients is helpful for determining thresholds for response and outcomes. MIMcloud® storage also allows for better support of institutional research.